There’s nothing more exciting than discovering something unique. Not “more unique”; but truly unique. One of a kind. That feeling you finally found the perfect solution that you never thought existed. Jesus is unique. He alone is the Solution to everything we need. He is God and He is Man (that’s unique!). He’s our salvation and He alone intercedes to the Father on our behalf. As a church, we need to point people to Him even though most in our communities have no idea that He’s the answer. In the same manner, many in today’s culture have little idea that they can connect with Jesus in our churches. They have little concept of how church can actually benefit them. They continue to google and seek answers to their pains or concerns. You know, the temporal issues that gnaw at their spirit throughout the day: marriage issues, children problems, job failure, money concerns, etc. They desperately want help with these. They’re looking for that unique solution that will fix everything. Still, most churches continue to communicate how similar they are. “We’re a place that religious people get up early on Sunday to get together and do religious things”. We’re a church. Daily they drive by your place of worship and they have very little concept of what happens inside. It feels like a private club that isn’t for them since they’re not religious. Like driving by a Costco without a membership card. 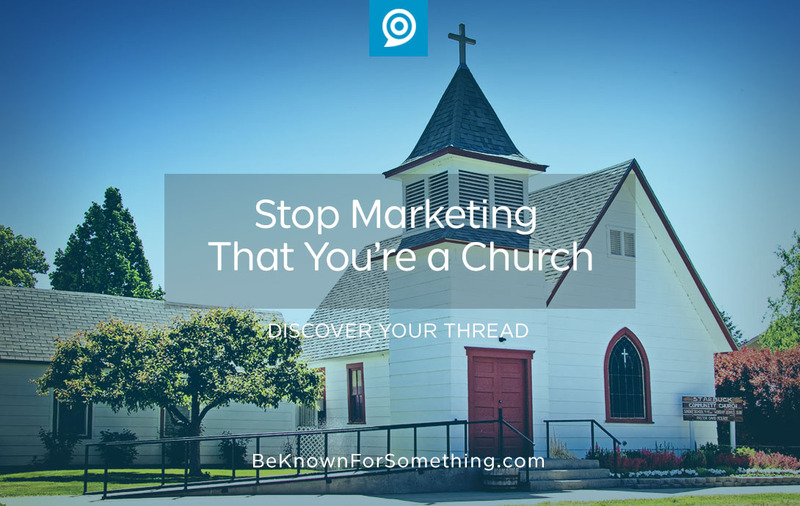 Marketing (a fancy way of saying “communicating benefits so people will want what you’re offering”) that you’re a church is unintentionally communicating that they have no need for you. Plus, most of you have “church” in your name, a steeple towering about your building, a worship center appearance, or a cross attached somewhere on your building. You don’t have to state the obvious. 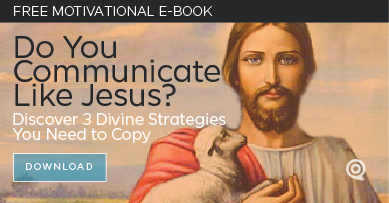 Remove religious symbols and words from your external communications. Discover the unique communication thread that will engage them. The benefit or solution to their temporal needs. Weave that thread through everything so you’ll be discovered because of it. Does your community (based on demographic analysis) need help with their marriages? Then be the solution that they can access online, at your events, in your worship. Engage with them with your thread until everyone realizes you have a genuine benefit that points to the unique solution of Jesus. That’s right; your thread must connect to Him, and your church members must know the easiest way to pivot to the Gospel Message from the thread. Imagine! Your church would become relevant in the lives of people who need your ministry. Stop marketing what they’re not looking for. Start communicating a thread that interrupts their world. This is a great article, lots to think about.